This album is a collection of tunes that Graham and the Band had been performing for years around the Texas hill country. Recorded with few overdubs, most of the polish on the album comes from years of playing the tunes at dive bars from San Antonio to San Angelo. The album features tunes written by Graham over the years. These songs have evolved and matured with the band as they’ve been performed in front of hundreds of audiences. 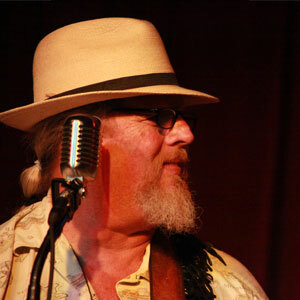 They span from the straight-up folk tune “Without You” or “Dust Devil” to the down and dirty blues of “Hand Full O’ Gimme.” The sweeter sentiment of tunes like “Without You” is offset by the quirkiness humor of “Runnin’ Out of Money”. Happily, producer John Sprott was able to lend his guitar chops to the album, lending the kind of technical virtuosity that pushes the performances to next level. If you’ve ever seen him playing slide with The Texas Blues Butchers or any of his several band in Lubbock, TX, you know that the he deserves his reputations as a phenomenal player, and he lives up to that reputation on this album. John Ike Walton brings his funkiest, unique approach to “down and dirty” blues. Although his big claim to fame is the rock and roll of The 13th Floor Elevators, his chops are apparent in this recording. The grooves never quit– every song has some of the tastiest, greasiest rhythm that you’ll find an any release this year… it’s like audio fried chicken. The low end on the album is held down by the upright bass playing of John Reeve. The instrument lends a lot of percussion and tone to the album, and the funky rhythms really stack up well with John Ike’s solid playing. 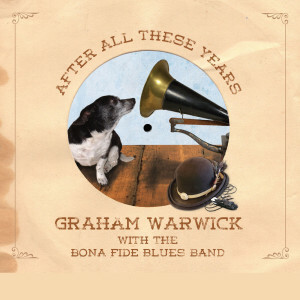 Hopefully, this first release for Graham and the Band is the first of many— it’s a breath of fresh new sound with a unique take on the blues.